…”with the beautiful flowers” our friends Chuck & Ava Fries sent after the Paulist Productions party we gave on Thursday. There is nothing more gratifying than giving a party and then getting a “Thank You” afterwards. 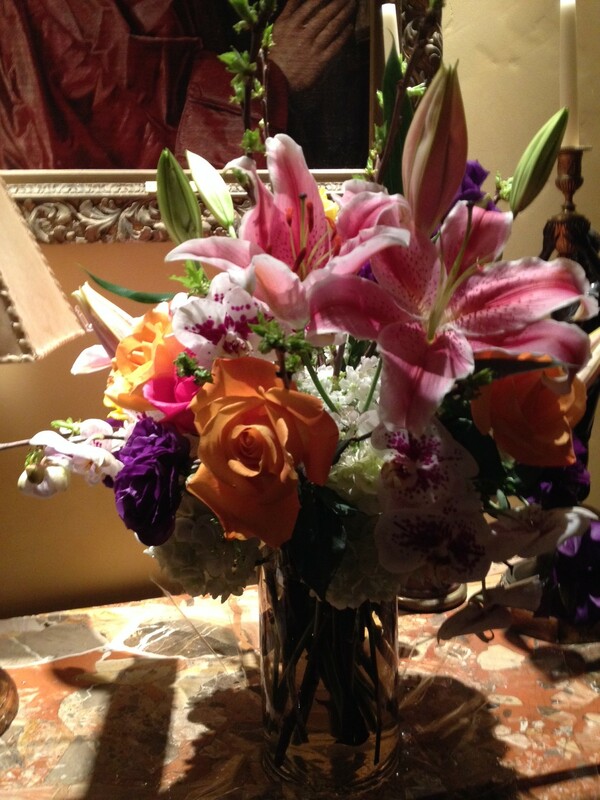 I don’t usually think about sending flowers — but as a grateful hostess, I can attest to what a thrill it is to get them. 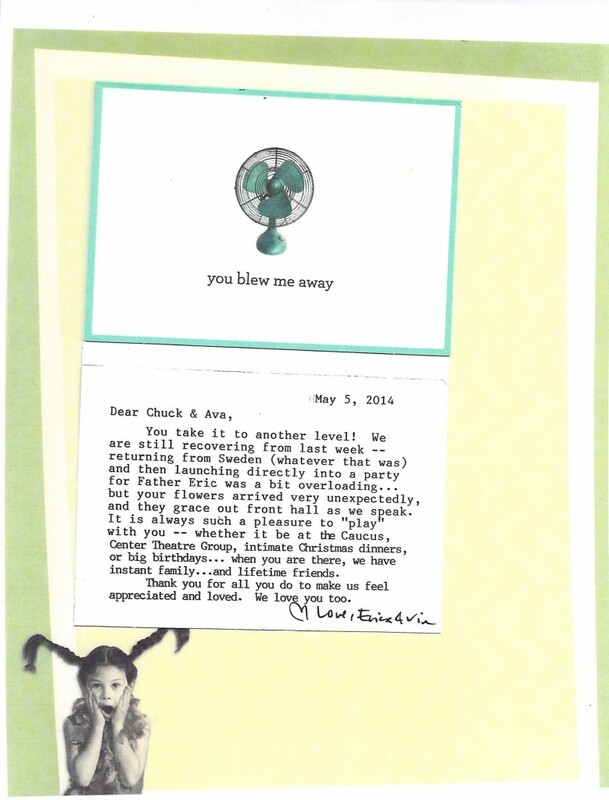 Chuck & Ava always take it to a higher level… and I have a lot to learn from them.